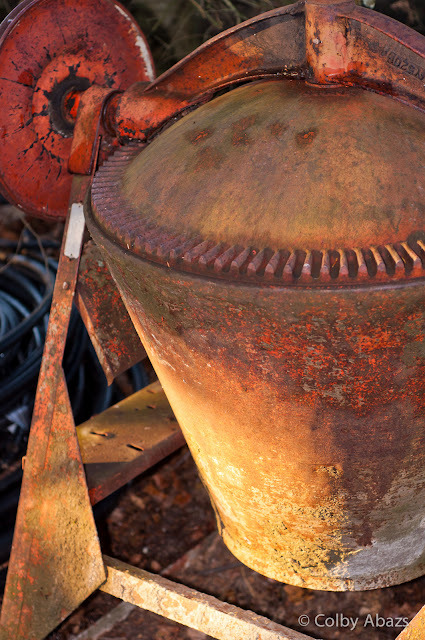 This is actually a cement mixer but I like the golden glow provided by the setting sun. We have had this mixer for ages and don't use it very often. But it still works and sits around waiting for a time we need it again.